Mercedes CLS, the car that invented the segment of four-door coupés (and insists that this is a valid term), has been completely renewed for the third time. First test with electrified Mercedes-AMG CLS 53 4Matic+ variant. Polarizing designs are often the best designs, is the cliché. But clichés are not for nothing – often they are quite a bit true. For example, we cannot count on two hands how many people we heard from the very first CLS in 2004 that they thought it was terrible; nor how many people thought it was the most beautiful Mercedes they had seen in ages. The first CLS – slim, low and bold – turned out to be a brilliant design that kicked off a design trend that was replicated in many other classes, from hatchbacks to (unfortunately) SUVs, and which inspired competitors to create their own visual highlights. The BMW 6-series Gran Turismo, for example, is still a neck shrewd. As the founder of its class, the CLS is now ready for its third generation. The second, which was on the market from 2011 to 2017, has never been able to impress us as much as the first. (With the exception of the Shooting Brake, which was delicious, but does not return due to lack of interest.) 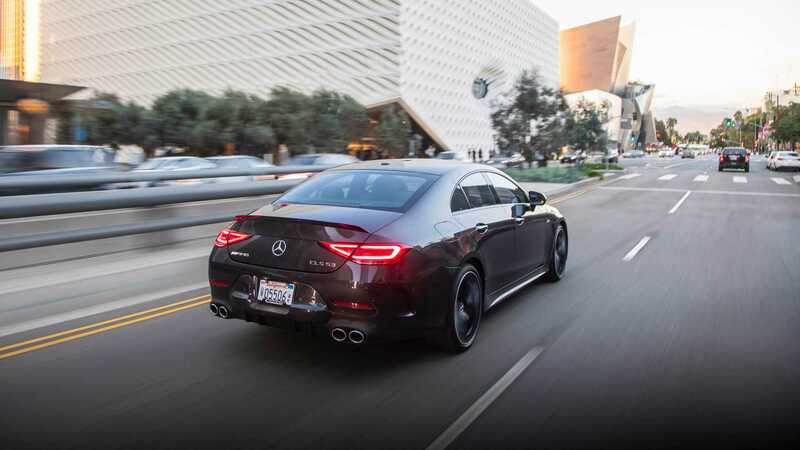 Design chief Gorden Wagener thinks he knows what that is about: he recognizes that the design of the outgoing CLS, or actually a whole generation of Mercedes, was maybe a little overdone. At least, he doesn’t say that in so many words; but if you as the main designer state that it is time for a completely new design strategy with clear shapes and fewer lines, that is a bit of what it comes down to. This CLS 53 has the honor of giving substance to the new, so-called sensual purity trend within the Mercedes design. You immediately see the other way of thinking in its flanks, which are no longer full of folds and bulges, but are sleek and simple. His front is also relatively simple in design, with a slightly tilted nose and small headlights that are in line with the body. The back, flat and sloping, almost seems to consist of one piece. Nevertheless, the CLS line is unmistakable: view the car from the side, and it could not be another brand or model. Something else that always characterized the CLS was a striking interior. In this case it tends to be rather identical to that of the E-Class, which is not bad, because that is special enough. The two 12.3-inch screens – optional – come directly from the E, just like the rest of the layout, with a wide center console and a small but not impractically small amount of buttons. The intuitively working controller and the somewhat less useful trackpad that hangs over it (how often we press it unintentionally…) are old acquaintances. In the CLS we also find a few things that give the whole package something unique, such as the luminous, turbine-shaped vents, that even change color if you set the temperature warmer or colder. For the first time you can order a fully-fledged rear seat instead of two separate seats, but the main issue remains: the CLS simply does not offer much in terms of headroom. The CLS is offered in several engine variants, but perhaps the most intriguing is the Mercedes-AMG CLS 53 4Matic +. 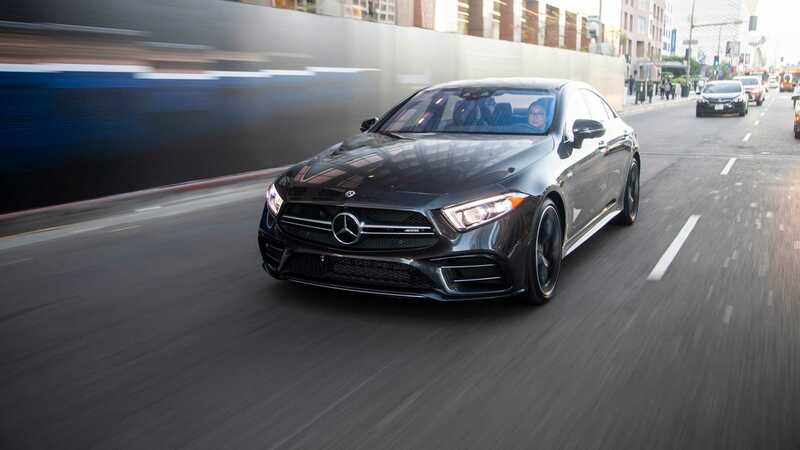 It has a weird name – ’53’ doesn’t make sense, as usual lately – but it’s not only interesting because of its AMG badge, optical goodies (bumpers, skirts, grille, exhausts) or speed ( from 0 to 100 km / h in 4.5 seconds, top speed of 270 km / h). The technology behind it is completely new. Mercedes speaks of an “electrified gasoline engine”, which could indicate that you are dealing with a kind of hybrid. That is an exaggeration, although the car does have a 48-volt electric architecture and an EQ Boost alternator / starter motor combination that recovers energy and occasionally offers a helping hand. The most striking addition is the electric compressor, which is connected to the EQ Boost technology and immediately jumps in when the revs are still too low for the turbo. This ensures a faster response and lower consumption. How thoughtful. Central is the new six-cylinder in-line engine, 3.0-liter in size, beltless, coupled with a nine-speed Speedshift TCT automatic and 4Matic + all-wheel drive system. Indeed: the variable four-wheel drive that we already know from the E 63, although it does not have a manually adjustable drift mode here. The whole package delivers 435 horsepower and 520 Nm, with the EQ Boost alternator / starter motor combination providing an extra boost of 22 hp and 250 Nm when needed. AMG was extensively involved with the chassis. With most CLSs you can choose from steel springs, adjustable dampers or air suspension; the CLS 53 has the latter, but in a version that they call Ride Control +. 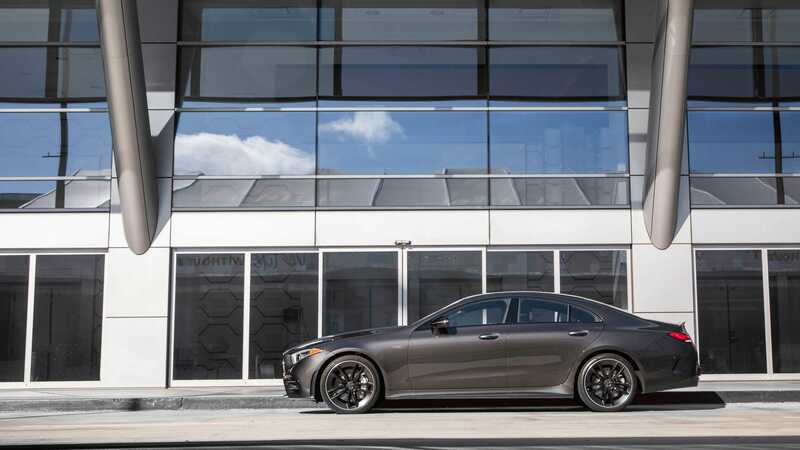 Among other things, the ball joints and wishbone arms were replaced by stiffer ones, and the damping was precisely adjusted to the sportier behavior that AMG expects from its drivers. This is already noticeable when you calmly drive in the Comfort setting. With an air-suspended standard CLS you will almost feel like you are on a water bed, with the AMG this is never the case. The control did not leave the performance department alone: ​​it is variable with the CLS 53. The brakes were replaced by slightly larger pieces of composite material. All this technical talk comes down to the fact that, from the first moment, the AMG feels like a completely different type of car. 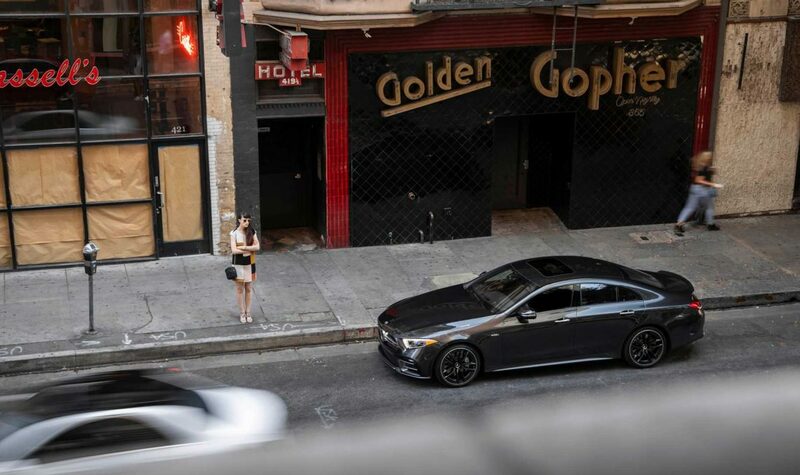 Where the normal CLS is a relaxing machine, the CLS 53 assumes a certain urgency. Not nervous or tragic, but extremely willing. It only takes a few turns to end up in an infectious rhythm with this AMG. Its controls are short and powerful, clear and important, and the balance in its heavy body is playful and predictable. The Speedshift automatic is always ready and quick and can shift down multiple gears at the same time, with a dash of intermediate gas for the effect. On slippery roads we feel the four-wheel drive, which puts the emphasis on the rear wheels, works flawlessly. The moving side bolsters of the seats – at first strange, soon valuable – are quickly activated into the corners to keep the driver in his place. The CLS 53 is effortlessly fast, yet accessible. From low revs it extends in one thick line to the red area at 6,500 rpm. The Sport mode is the favorite in normal handling – the technology is then alert without being forced – but in the Sport + position the gears shift more vigorously, the chassis counteracts the rolling movements even more strongly and there is noticeably more noise. Ah, the sound of this engine – that’s a story apart. 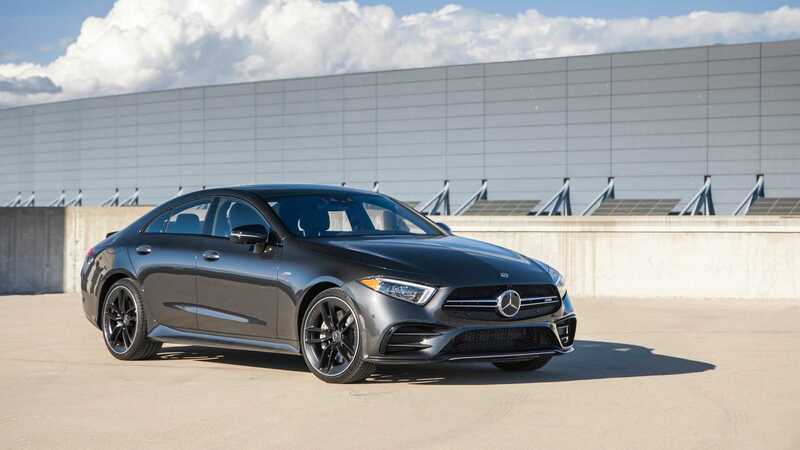 The new six-cylinder engine does not have the rawness of the AMG V8 engines. And not even the baggy and rude note of the four-cylinder from the A 45. It sounds very harmonious, sonorous and evenly constructive. Until you release the gas. Then it turns out that the engineers could not resist and built in some crackles and pops – thanks to the active flaps. But the CLS 53 has more to offer than speed and sensation alone. Its autonomous talents, for example – limited as they can still be (legally) allowed – are not that bad at all. The adaptive cruise control via GPS keeps an eye on where you are. As a result, it knows when bends or built-up bowls are arriving, then brakes where necessary. In this way we easily defeat several roundabouts in a quiet area. If the car steers itself, it neatly follows the road lines without having to reposition itself. If you have limited time, such as we have in this test, this kind of gimmick gives you the opportunity to explore the rest of the technology on the way. Especially for the AMG, for example, there is a Performance dashboard mode with yellow meters and all sorts of useful information. Think of fluid temperatures up to g-forces. The steering comes from the E and S Class, complete with two touch sensitive, joystick-like buttons for the on-board computer and the infotainment. The Mercedes-AMG CLS 53 4Matic+ is a truly overwhelming package with its striking combination of style, performance, comfort and technology.